The Mammoth Series Stands are the high-class range of Showtec. They are designed in the Netherlands and produced in Europe, ensuring the best price to performance ratio possible. All materials were carefully chosen to ensure a long lasting quality. The stands have a neutral finish with nice details on all buttons and caps. Mammoth, steady by nature! 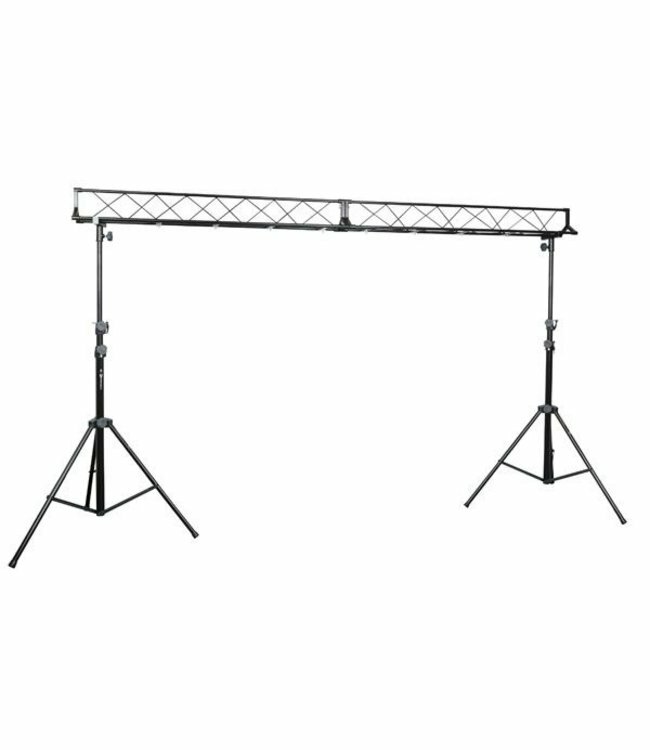 The Showtec Light Bridge set is a steady and compact truss set with 2 stands. The truss has a width of 3m consisting of 2 equal parts which are easy and fast to assemble. With the maximum height of 3m this set will perfect fit for mobile dj’s and small setup’s. The set allows to attach 8 light fixtures with a distance of 300mm in between.